A scientific journey from the Italian tradition of mathematical laboratory to the challenge of a multicultural "transposition"
This lecture has been designed to report on a scientific journey, lasted some decades. In the first part of this lecture I shall present the main elements of the approach to semiotic mediation in the mathematics classroom, as developed by Bartolini Bussi and Mariotti (2008), focusing mainly on the activity in the mathematical laboratory, when real manipulatives are handled by students, according to an acknowledged Italian tradition. The different trickles that flew into the theoretical constructs will be shortly outlined (Bartolini Bussi, 2009), together with the application to teacher education (Bartolini Bussi & Maschietto, 2008). In the second part of this lecture I shall present the new challenge of considering mathematics education as a multicultural field (Bartolini Bussi & Martignone, 2013; Bartolini Bussi, Baccaglini-Frank & Ramploud, 2014), where contributions from many different countries and regions, with different institutional constraints, cultures of schooling and of educational research and, even, of mathematical activity must be taken into account. Has the approach to semiotic mediation the potential to meet this challenge and to embrace this issue too? The examples will be mainly taken from the early approach to mathematics in primary school, that has now come into the limelight: it is worthwhile to highlight the fact that for the first time in its centennial history ICMI has launched a study on the teaching and learning of whole numbers in primary school. Bartolini Bussi, M.G. (2009). In search for theories: polyphony, polysemy and semiotic mediation in the mathematics classroom. In: Proceedings of the 33rd Conference of the International Group for the Psychology of Mathematics Education: In search for theories in mathematics education. Thessaloniki, 19-24 luglio 2009, Thessaloniki: Aristotle University of Thessaloniki & University , vol. 2, pp. 121-128. Bartolini Bussi, M.G., Baccaglini Franck, A., & Ramploud, A. (2014). Intercultural dialogue and the history and geography of thought, For the Learning of Mathematics, 34 (1), 31-3. Bartolini Bussi, M.G., & Mariotti, M.A. (2008). Semiotic Mediation in the Mathematics Classroom: Artefacts and Signs after a Vygotskian Perspective. In: L. English, M. Bartolini, G. Jones, R. Lesh, B. Sriraman, &, D. Tirosh. Handbook of International research in Mathematics education (2nd edition). pp. 746-783, New York: Routledge Taylor & Francis Group. Bartolini Bussi, M.G., & Martignone, F. (2013). Cultural issues in the communication of research on mathematics education, For the Learning of Mathematics, 33 (1), 32-8. 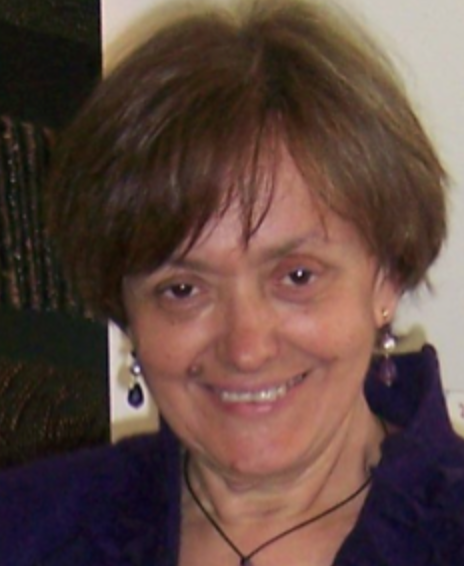 Mariolina Bartolini Bussi est professeur à l'Université de Modena-Reggio Emilia. Elle est membre du comité éditorial de la Newsletter de la Société Européenne de Mathématiques (EMS Newsletter). Elle est l'une des deux coordinatrices de la 23ème étude ICMI, consacrée aux apprentissages numériques des débuts de l'école primaire. Elle a proposé un éclairage international lors de la conférence nationale sur l'enseignement des mathématiques à l'école et au collège (mars 2012, ENS de Lyon) : "Comment enseigne-t-on les mathématiques ailleurs? Deux exemples : le cas lointain de la Chine et le cas proche de l'Italie" (vidéo en ligne).